Birchbox was absolutely incredible this month, imo. I was chiefly impressed with the quality and the number of products in this month's box, and I found each product to work so well too. Want to see my initial review? Birchbox June Review. Glossybox curated a really cool 'Stars & Stripes' Edition box this month. It really was a great variety of products and the C. Wonder surprise value gift card was such a treat! I'm completely hooked on the Ayres body butter, and the Sumita eyeshadow pencil has moved its way into my permanent rotation. Want to see each product in better detail? 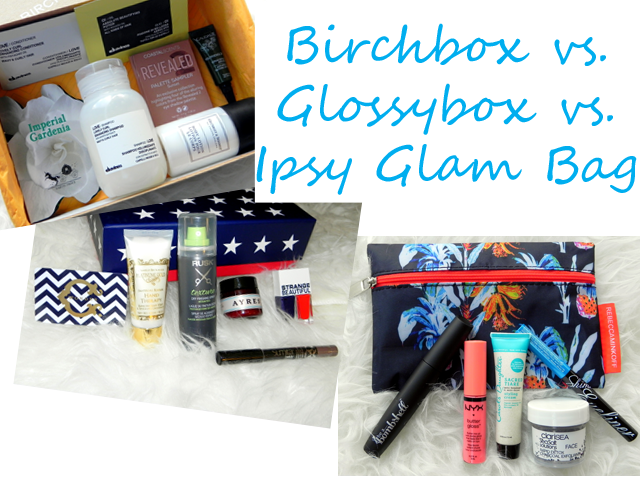 Glossybox June Review. Ipsy's 'Pretty in Paradise' bag this month was soooooo fun! If for nothing else, the Rebecca Minkoff bag really made it for me; I use it as a little mini clutch all the time. But the best part is the other products are fantastic too! I'm obsessed with the NYX butter gloss and the Nicka K eyeliner and wear them constantly. As much as I loved the Be a Bombshell mascara, its scent is bad and it has also dried nearly completely out already. Want to see each product again? Ipsy June Review. *All prices were calculated by creating a ratio of the cost of the full size to it's size and then applying that to the sample size to arrive at a price. For example, if something costs $10 for 1 ounce, and a 1/2 ounce sample is received, I'm valuing it at $5. Make sense? I was expecting a bit more from Glossybox after completely hitting it out of the park with its prior curated boxes, but in all, I really did like the products. Ipsy was amazing, but I'm super disappointed with the mascara issue. Birchbox was great and I even found an amazing new hair regimen! Is absolutely Birchbox this month. I really dislike foil packet samples, but adding them in addition to a normal travel sized sample (as it did with the Davines products) is genius and I really hope that it takes note and continues to do this. 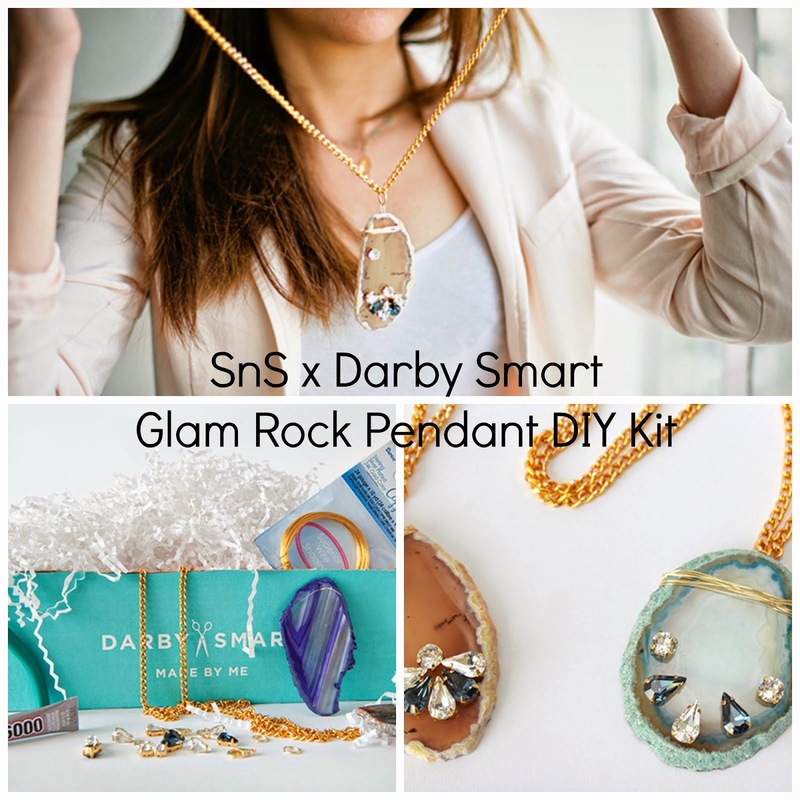 Ipsy comes in next with its amazing (Rebecca Minkoff!) bag and even though the mascara shouldn't have passed quality control, that is on Be a Bombshell and not Ipsy, and the mascara really was rad before it dried out after a couple weeks. Finally, Glossybox's lackluster box would come in last since it was a 'Stars & Stripes' theme, but the products (except the nail polish) really didn't go along with the theme and I think everyone was expecting more from it. So that's it: 1. Birchbox, 2. Ipsy, 3. Glossybox. Who would you have picked as a winner? Did you arrive at the same conclusions I did?